Kif, this chair is poking me. 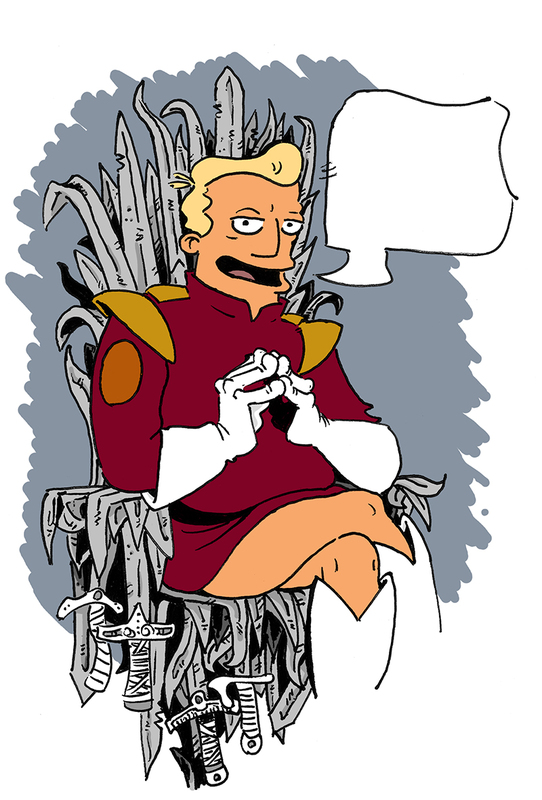 This entry was posted in Miscellaneous and tagged Futurama, Game of Thrones, The Iron Throne, Zapp Brannigan. Bookmark the permalink. 8 Responses to Zapp Caption Contest! The flesh is spongy and bruised, but this chair is cold and spikey! That is very Zapp like. Oh Westeros ours will be a sweet sweet love. Followed by the sounds of fake kissing. mwah, mwah, mwah!